Warren Buffett has plenty on the line if the United States and China can't settle their trade differences. But the Oracle of Omaha isn't that concerned about the relationship. 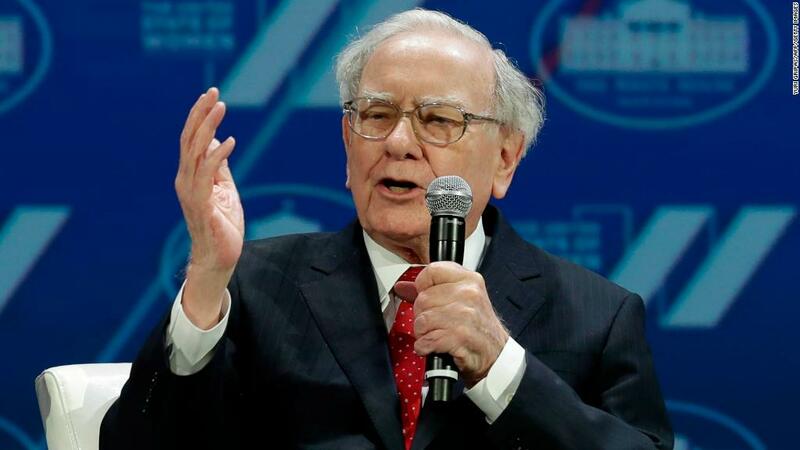 "We've done remarkably well with trade in China," Buffett said of the US at Berkshire Hathaway's annual shareholders meeting Saturday in Omaha, Nebraska. "We will have disagreements with each other. We'll have disagreements with other countries on trade. But it's just too big, and too obvious that the benefits are huge and the world's dependent on, in a major way for its progress." Threats of a trade war between the world's biggest economies have loomed for months, and both countries have threatened to slap steep tariffs on tens of billions of dollars of exports. The tensions have rattled global markets — so far this year, for example, the S&P 500 (DVS) index has swung wildly. Buffett has several interests in China. His conglomerate Berkshire has a massive stake in the Chinese car company BYD, as well as big holdings of Apple (AAPL), GM (GM) and Coca-Cola (KO). All of them have a major presence in the Asian nation. Berkshire's stock is down about 2% since January. "It is a win-win situation when the world trades," Buffett said at the meeting, adding that he doesn't think the US and China will "do something extremely foolish." "We will not sacrifice world prosperity based on differences that arise in trade," he said. Top trade officials from the United States and China met in Beijing this week, an effort to ease the tough rhetoric and avoid a trade standoff. The two sides made some progress in the in the two days of talks, according to China's official news agency, Xinhua. But the agency also reported that they still have "relatively big differences on some issues." President Donald Trump, meanwhile, tweeted Friday that he would be meeting with the delegation to "determine the results." "But it is hard for China in that they have become very spoiled with US trade wins!" he added. Trade war fears escalated earlier this year after Trump announced hefty new tariffs on Chinese steel and aluminum, which prompted retaliatory measures from China. On Saturday, Buffett's longtime business partner Charlie Munger defended that move. He added that global trading rules "were almost unbelievably adverse" to US producers. "Even Donald Trump can be right on some of this stuff," Munger said. Buffett chimed in, adding that global trade is a benefit to Americans in the grand scheme. He also said the US government has a duty to communicate that to the public — especially to workers whose jobs are at risk because of global trade. "The negatives are very apparent and very painful," Buffett said. He also said the government should "take care of people that become the roadkill for something that is collectively good for us as a country." —CNNMoney's Paul La Monica and Daniel Shane contributed to this report.